The Supreme Court today reserved its verdict on the plea by Lodha panel for removing the entire top brass of the BCCI and replace it with an administrator after slamming the Board for its continued defiance and also pulling up its President Anurag Thakur for trying to seek the help of ICC chief for non-implementation of the recommendations. The bench headed by chief justice T S Thakur hinted it might not immediately oust entire top brass of the Board and appoint an administrator for continued defiance of Lodha reforms but impose certain conditions which will severely impinge its financial autonomy. Till the reforms are implemented or the Board gives an “unequivocal undertaking” in this regard, the Lodha panel could be asked to vet all its big financial dealings including disbursement of funds to state associations and signing of contracts. Though most top BCCI bosses are expected to get a reprieve for now, sword still hangs over its President Anurag Thakur. Through an affidavit, Anurag Thakur tried to clarify that he had not asked Richardson to write a letter but only sought a clarification from ICC Chairman Shashank Manohar on if he still stood by his earlier stand (as president of BCCI) that CAG appointment would result in governmental interference and de-recognition of Board by ICC. But the SC was not convinced. The court had on October 7 cracked the whip on the cash-rich BCCI, and restrained it from disbursing extra funds to 25 State associations till they accepted the Justice Lodha Committee reforms in “letter and spirit” and informed the same to the panel and to apex court bench hearing the matter. 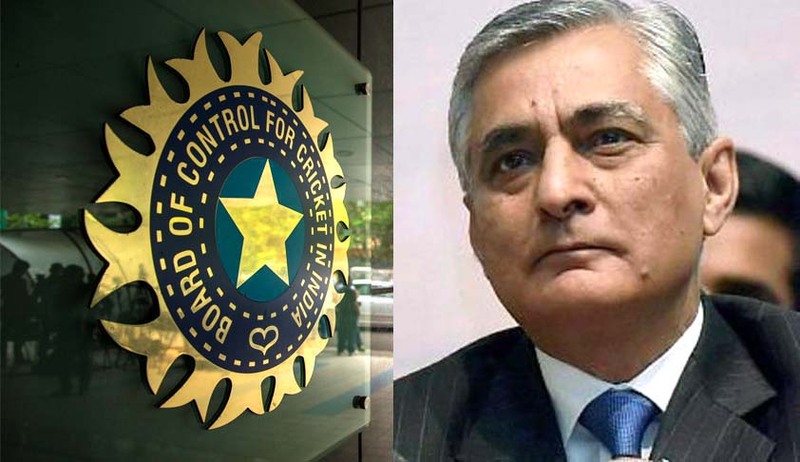 Passing a short order, CJI Thakur ruled that BCCI shall not disburse Rs 16.73 crore each to 13 State associations as per a decision taken in the Special General Meeting (SGM) on September 30. These 13 associations are yet to receive their share of a pay-off made by a private sport channel to the BCCI regards the broadcasting rights of the Champions Trophy and T20 tournaments.